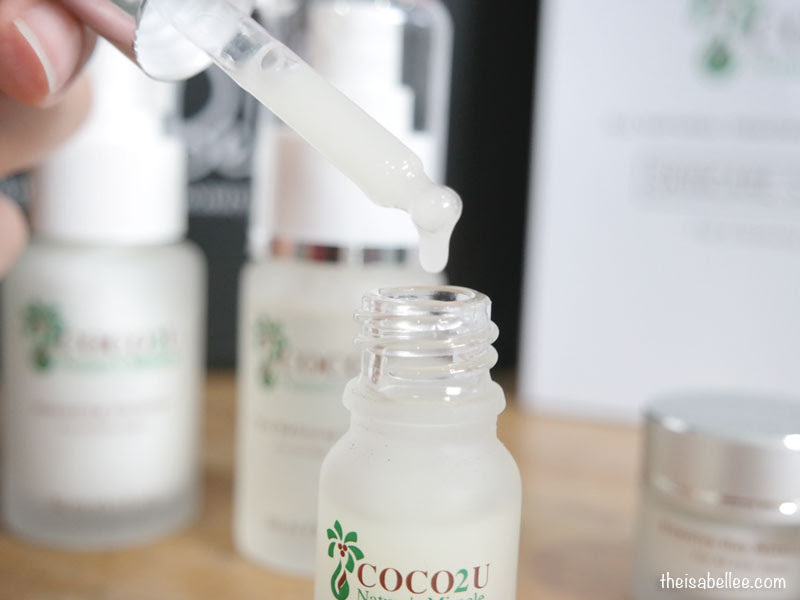 COCO2U is designed and formulated with Organic Virgin Coconut Oil and Natural Botanical Active Ingredients. Thus making it suitable for sensitive skin. 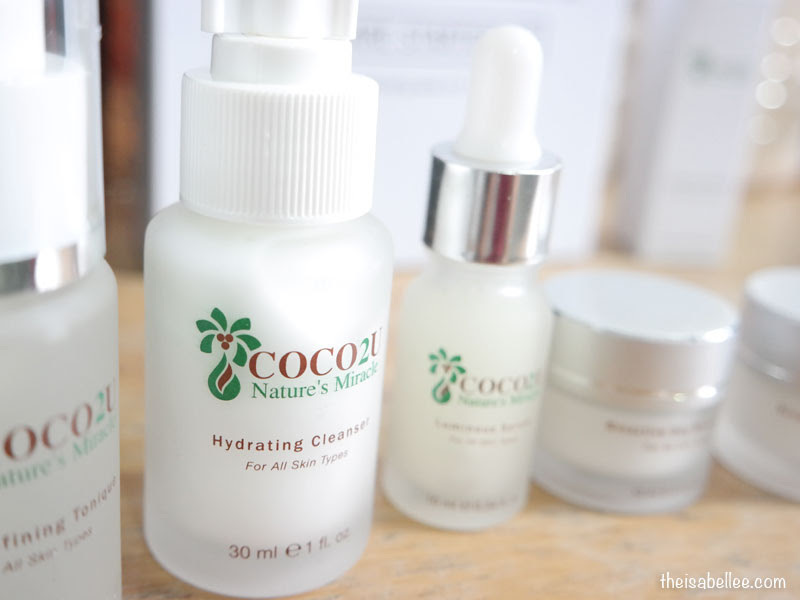 It's very gentle and infuses skin with hydration, protecting it. They're also made with aloe vera, aquacacteen, argan oil, grape seed extract and more! Also, no Animal Testing, Artificial Preservatives, SLS, parabens or Petroleum Derived Chemicals were involved. 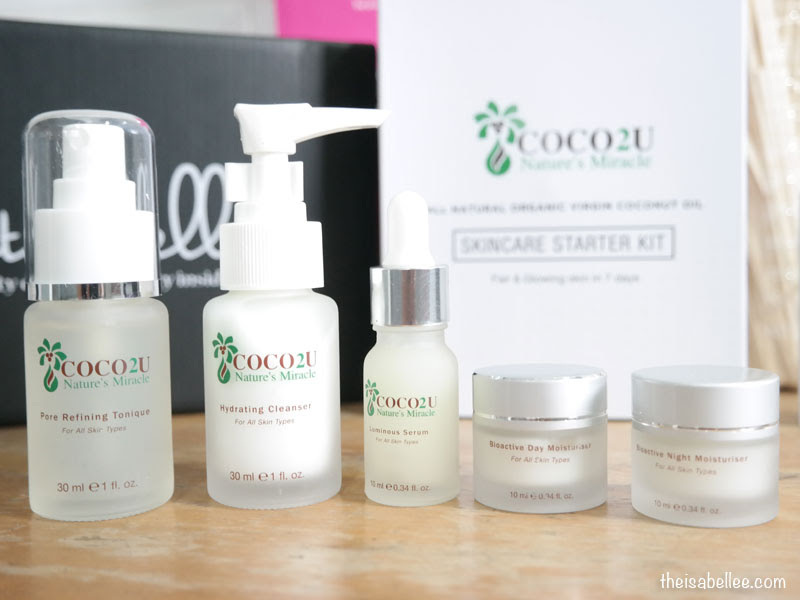 I'm using products from their COCO2U Skincare Starter Kit which contains mini sized products for a complete routine. The Luminous Serum is FREE btw! 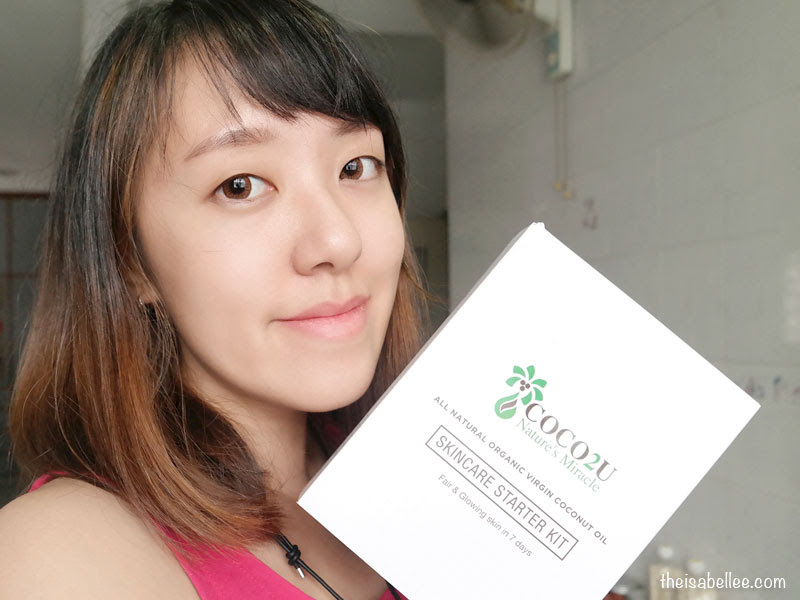 I had just done a facial exfoliation and could not believe how comfortable these were on my skin! 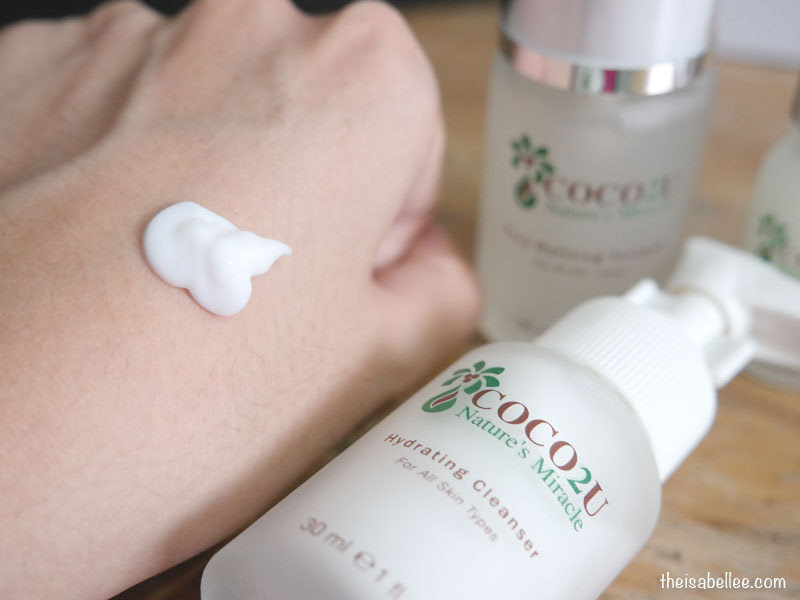 This is the first time I liked a cream cleanser. I've always disliked cream based ones because they're so greasy and heavy so this came as a shock. Please note that this will not lather up but it still cleans well! It can even remove light base makeup but for heavier makeup, I would recommend a proper remover. It's superrr gentle, does not agitate extra sensitive skin after exfoliation and actually leaves your skin feeling so soft and smooth! No greasy feeling at all and it wasn't hard to wash off. This is supposed to reduce pore size while improving texture and tone. 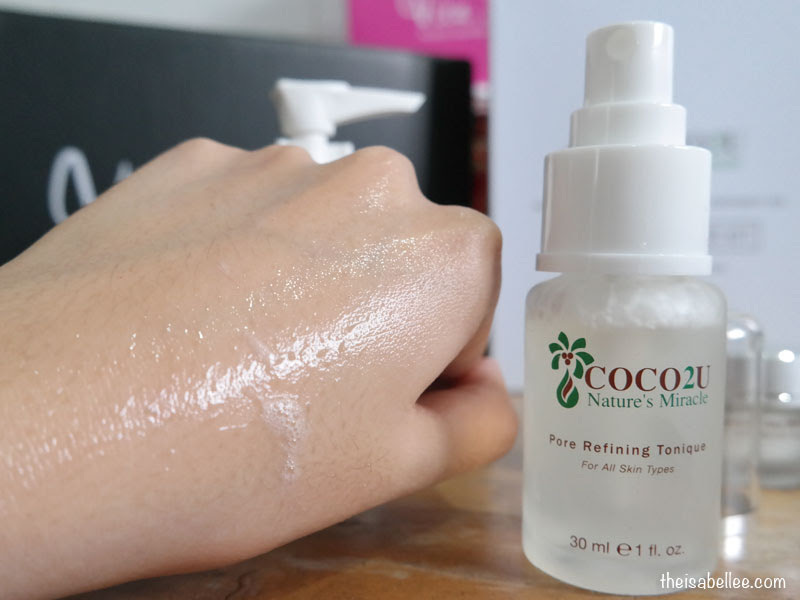 I can't see such effects but it's quite nice to use as the toner has a cooling and soothing sensation which is great after a hot day or exfoliation. 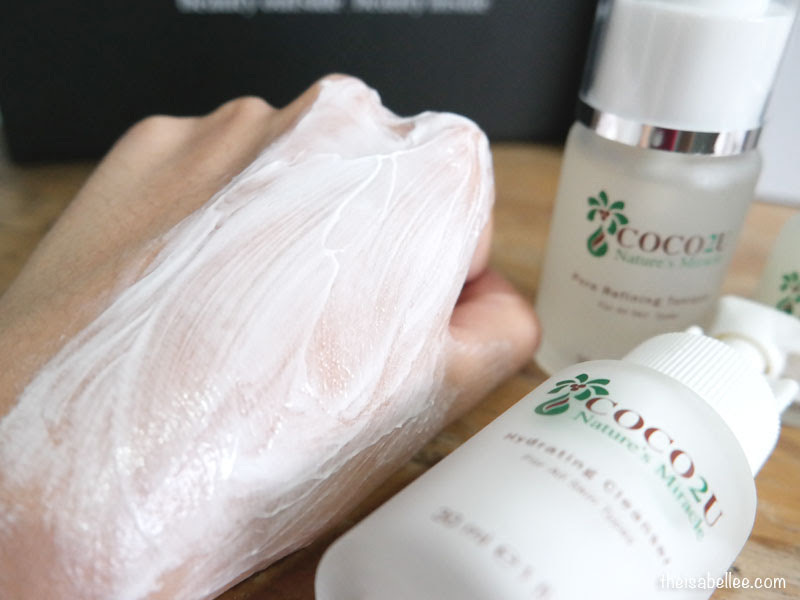 An intensive treatment that organically replenishes and rehydrates the skin for instant radiance and softness. Despite its thick look, it's really lightweight and absorbs in no time! A few drops from the dropper is enough for my whole face. In order to make this bottle last longer, dot it all over your face before patting in. This will help spread the product evenly before it absorbs. A moisturiser with added SPF20 sun protection? How convenient! It works to increase skin firmness and makes skin more youthful. Skin instantly gains a soft glow after application. I do not like the tub at all though. The product is more jelly-like and thus required scooping, which is not very convenient in a small jar. The full product comes in a pump bottle though. 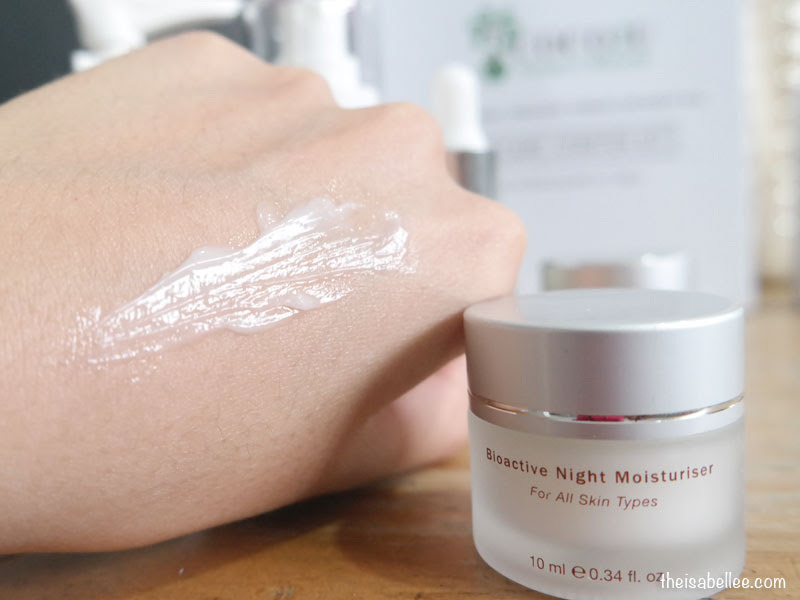 Strangely, I thought the night moisturiser was lighter than the day moisturiser. It had a slight resemblance to sleeping masks and provided ample hydration even for an air conditioned room. 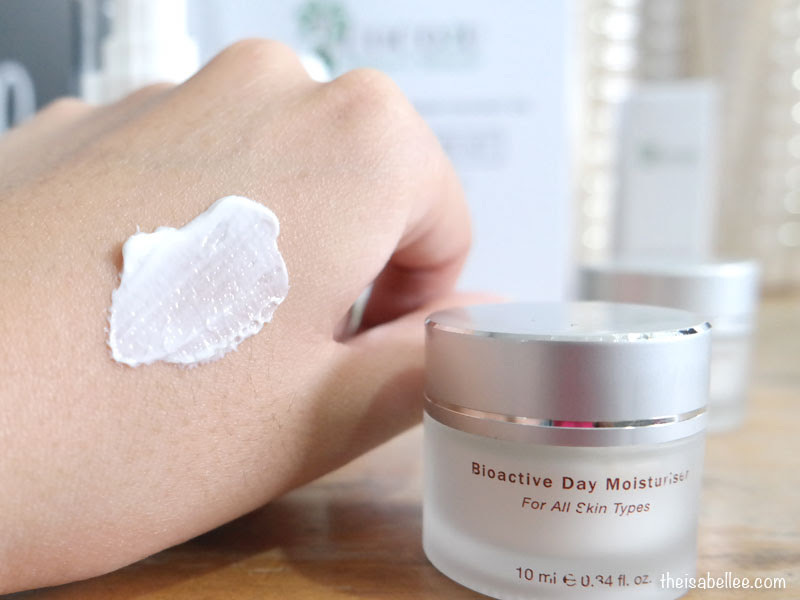 It ensures your face stays supple and radiant in the morning so you can look fresh and renewed everyday! It's super worth it to buy now in order to get the discount AND freebie!